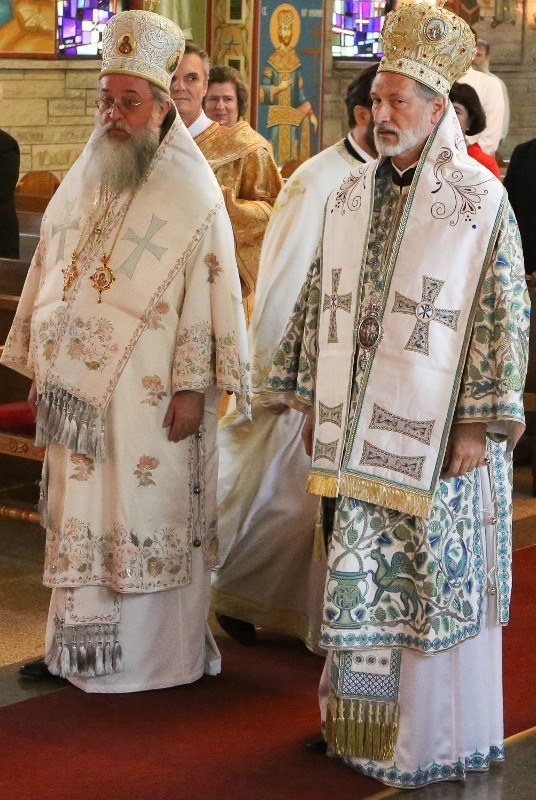 Chicago, IL - On Sunday, June 1st, when the Holy Orthodox Church commemorates the Fathers of the First Ecumenical Council, a festive Hierarchical Divine Liturgy was concelebrated at Holy Resurrection Cathedral in Chicago by visiting guest hierarch, His Grace Bishop Irinej of the Metropolitanate of Australia and New Zealand, and diocesan host hierarch, His Grace Bishop Longin of Midwestern America and New Gracanica. Serving with the hierarchs were the Very Reverend Protopresbyter-Stavrophor Uros Ocokoljic; the Reverend Fr. 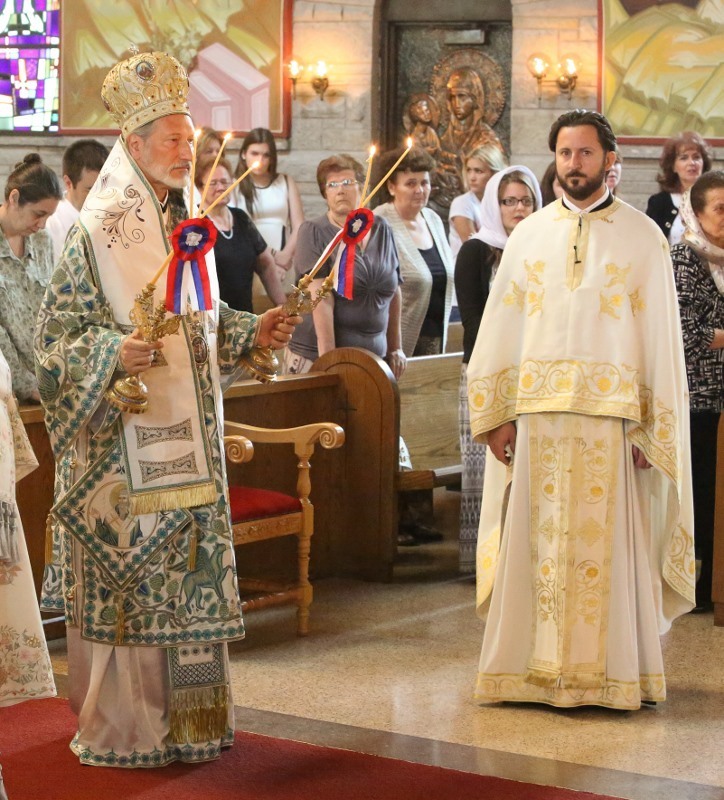 Darko Spasojevic, protonamesnik; the Reverend Fr. Radovan Jakovljevic; the Reverend Fr. Dr. Vasilije Vranic; the Reverend Fr. Nikolaj Kostur; and the Reverend Deacon Theodore Sokolovic. At the end of the Eucharistic celebration, Bishop Longin warmly welcomed Bishop Irinej to the Cathedral noting his vision and accomplishments in the Australian church, with which Bishop Longin was well-acquainted, as well as his prior ministry in Chicago, Washington, D.C., and Belgrade, while Bishop Irinej greeted and thanked his host and the Cathedral clergy, and delivered a homily. Fr. Darko Spasojevic, Cathedral Dean, thanked both Bishop Irinej and Bishop Longin for their prayers and blessings on behalf of the Cathedral community, and welcomed Fr. Uros and Fr. Nikolaj as well. 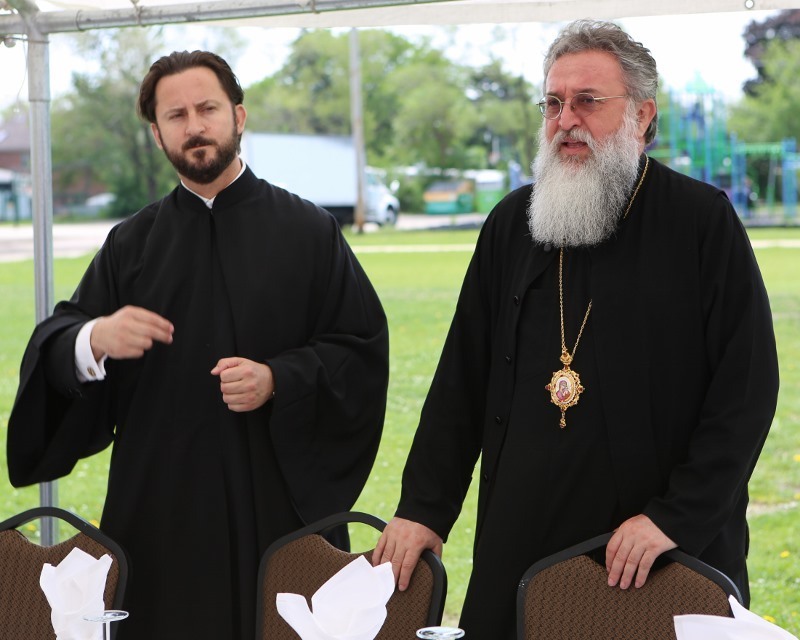 Following the Hierarchical Divine Liturgy, a fundraising picnic was held on the Cathedral grounds in support of the Church's flood relief efforts with both hierarchs delivering remarks at the gathering. To date, the Holy Resurrection Cathedral community has raised more than $60,000 to alleviate the suffering of flood victims in Serbia and Bosnia-Herzegovina.